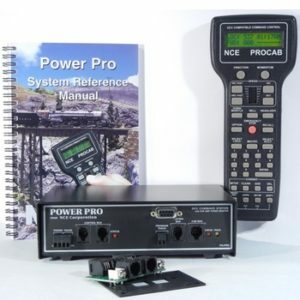 View cart “NCE PH Pro 5 amp” has been added to your cart. 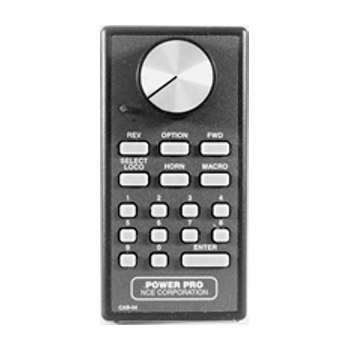 The Cab04er uses a more conventional knob for speed control with digital encoder . Cab04er can be set to YARD mode. Yard mode makes the speed knob act as a “center off” speed control. Turn the knob to the right and the loco will increase speed in the forward direction. Turn it to the left and speed will decrease until it gets to zero then it will start to increase speed in the reverse direction the farther you turn it to the left.